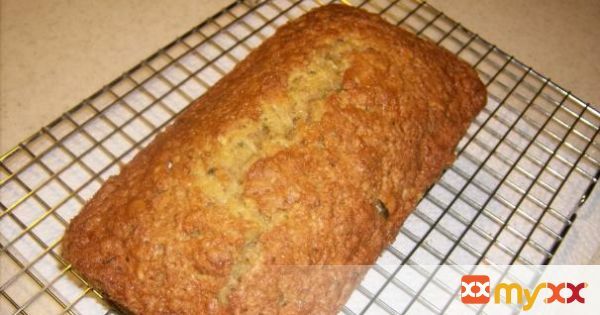 easy to make yummy zucchini bread! 1. Mix together eggs, sugar, and oil. 2. Add remaining ingredients. Bake in two greased 9 1/2 x 5 1/2 inch loaf pans at 450 degrees for 1 hour or a little longer.